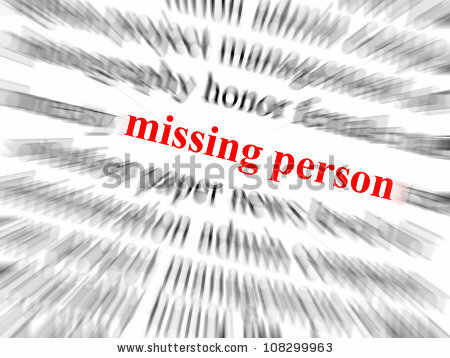 The goal this post is to give you advice on how not to becoming a missing person. I certainly don’t want to sound like a know-it-all because I’m not. What I am sharing here is what I have gleaned from my experience of working with the families of the missing. I also don’t want to sound like I am blaming the victim (the missing) because I’m not. It is never the victim’s fault. When I was in college, I was assaulted on my way to a party. It was 9 p.m., late fall. I was supposed to have gone to the party with a group of friends. I decided to wait for another friend who had not arrived to join us. I told the group to go ahead without me, I would wait. About ten minutes after the group left, my friend called to cancel. I decided to head out alone (mistake #1) and try to catch up with my friends. Deciding I could join them faster, I took a short cut down a darkened road with no street lights (mistake #2.) I was so caught up in my own thoughts that I was not paying attention to my surroundings (mistake #3.) A man approaching on the sidewalk appeared to be drunk. Instead of doing what I should have done—either turned and left the area or crossed the street—I stepped off the curb to let him pass (mistake #4) and that is when he grabbed me. A struggle ensued and luckily I was able to fight him off. I ran to the police station. As a female officer inspected my injuries, I reviewed, dolefully, the mistakes I had made that evening. After hearing what I had done, she did not shame me further. She told me that I have the right to walk down any street at any time of the day or night and that man had taken away my right to do so. Yes, I had made mistakes that no young woman should make. But I was in no way responsible for that man’s actions. First and foremost, let people know where you are. I know this sounds amazingly simple but most of us (myself included) forget to do this. Maybe we go out for a walk some evening, alone, without identification or our cell phone and without letting someone know where we are headed. Perhaps, feeling a little wander lust, we go out for a drive without letting anyone know our direction. If you do not return home, how will someone know where to look for you? I know we all value our independence and privacy, but if you do anything outside of your normal routine you need to leave some indication. If you live alone, there should be someone you contact on a regular basis. It could be by phone or email. This next advice is more difficult to give but here it goes; if someone in your life—a friend, acquaintance, spouse or family member—devalues you, threatens you or abuses you, leave the relationship. Don’t wait “until”, do it immediately. And if you ever need to see this person again (perhaps you share children or need to work out legal details) never—and I mean never—go alone. Do not visit, call, email or otherwise speak to this person again. If the person harasses or stalks you, keep a journal of his/her activities and call the police. It just staggers my mind the number of people who go missing and the “person of interest” is a boyfriend, husband or ex. (Sorry, guys, its mostly of men who perpetrate domestic violence of this magnitude.) I don’t care how much you love him. It will not get better. I have already written about Petra Muhammad. Don’t we all wish she had just taken her child and gone to a shelter? She should not have waited to sign a lease or the court to make a decision before she left her abusive husband. If she had done this, her son would have his mother. Her husband had threatened her; told her the only reason he hadn’t killed her was that he hadn’t found a place to put her body. Of course, none of us want to believe a person we love could harm us. But it happens. Make a better choice. My book Gone Missing in New York has other safety tips, such as collecting DNA samples from all family members and creating a “safe box”. It really is just about making better choices.